He was from 1995-2000, Founder and CEO of Netcam, an ISP in Brazil, a company he sold in early 2000 to Telefonica de España; worked as an associate consultant in 2001 with McKinsey & Co. With Grupo Jaime Câmara since 2002, he had several positions, starting as a Strategic Planning Manager, becoming on 2006, Director of Strategic Planning and New Business. On February 2011, he became the company’s CEO, position he held until July 2013 when he became the company’s President accumulating with the CEO position. In September 2016 he finished his tenure as President/CEO and was elected to the Board of Directors of Grupo Jaime Câmara. 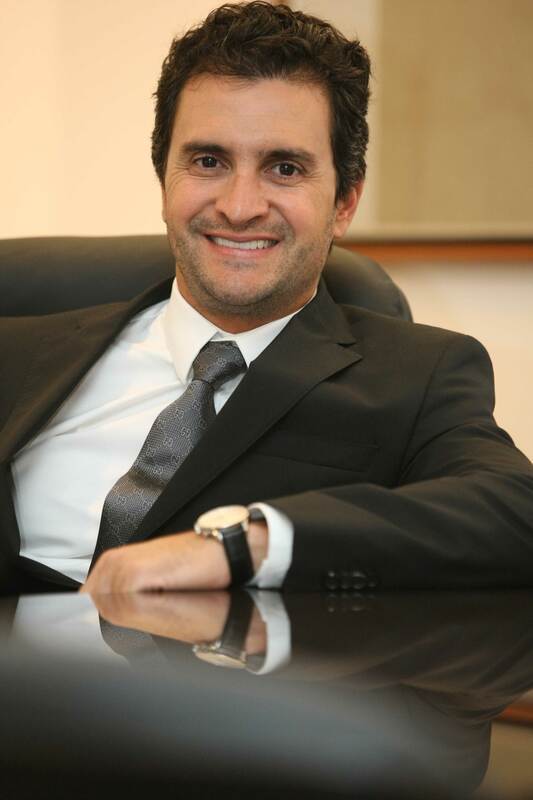 He is currently Co-Founder and Board Member of CitáPar, a real estate company in Brazil. He is member of the Board of Instituto Jaime Câmara, his family’s philanthropic initiative focusing on Education and Opportunities for the youth and of Instituto Palavra Aberta, an Advocacy Group whose mission is to promote and incentivize the democratic freedoms, specially the freedom of speech and free initiative. He is also member of 3 National and International Boards in the Newspaper and Broadcasting area, ANJ (Brazilian National Association of Newspapers), Abert (Brazilian Association of Brodcasters) and IAB (International Association of Broadcasting), all of those finishing the mandates in the near term. He was elected a Young Global Leader in 2013 by the World Economic Forum and in 2014 also was elected Member of the Foro IberoAmerica, an organization funded by Nobel Prize winner Gabriel Garcia Marquez that reunites intellectuals, academics, business people and former Presidents of Iberian and Latin American countries. In the public arena, he was elected in 2015 Member of the Board of the Goiás State Innovation program, and in 2016 Member of the Advisory Board of the Consórcio Brasil-Central, a consortium that united 7 states in Brazil discussing public policies and common projects. Cristiano lives with his wife and two children in Goiânia, Brazil. His interests are sports, mainly football, triathlon, tennis and snowboarding; Music and Live Concerts, Travelling, Arts and Wine Tasting. Giving teachers their deserved value is as important as giving children the opportunity of education.